Mr. and Mrs. Gerhard E. Pinkus, Los Angeles, 1961; gift to NGA, 1996. 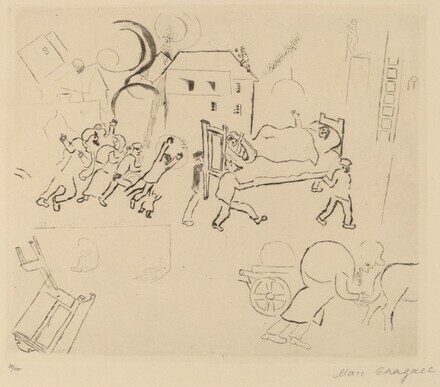 Chagall Early Graphic Works, Los Angeles County Museum of Art, 1972-1973, no. 8.